As previously reported, the Evolution! Mallorca International Film Festival will be held from 3 to 12 November and its gala opening will feature Danny DeVito, who will be receiving the Evolution Honorary Award in tribute to his cinema career. DeVito will attend the European premiere of his short film “Curmudgeons” on 4 November. This forms part of the Shorts Films Family First section of the festival. After the film, he will discuss his latest works and take questions from the audience. He appears in the film with his children Lucy and Jake: his son will also be attending the screening and discussion. On 5 November, DeVito will have another audience meeting, following the screening of the 1989 “War of the Roses” in which he starred along with Michael Douglas and Kathleen Turner. This will be part of the drive-in section of the festival at Port Adriano (the drive-in is on 5 and 6 November). The fifth edition of the festival will have seventeen films in the competition, fifteen documentaries, 30 short films and twelve music videos. The opening night film will be the Spanish “El destierro” by Arturo Ruiz Serrano, who will be attending the gala with the film’s lead actors. “El destierro” was filmed in Madrid, Avila and Majorca and was co-produced by Toni Bestard, Marcos Cabotá and Diana de la Cuadra, founders of the production company Strange Friends Films. Germany is the invited country this year, and there will be films such as “A Heavy Heart”directed by Thomas Stuber, who was last year named best lead actor at the German Film Awards. Also on the programme are a casting workshop, producers’ forum and virtual reality lounge. Closing the festival is the French film “Tour de France”, directed by Rachid Djaidani and starring Gerard Depardieu. 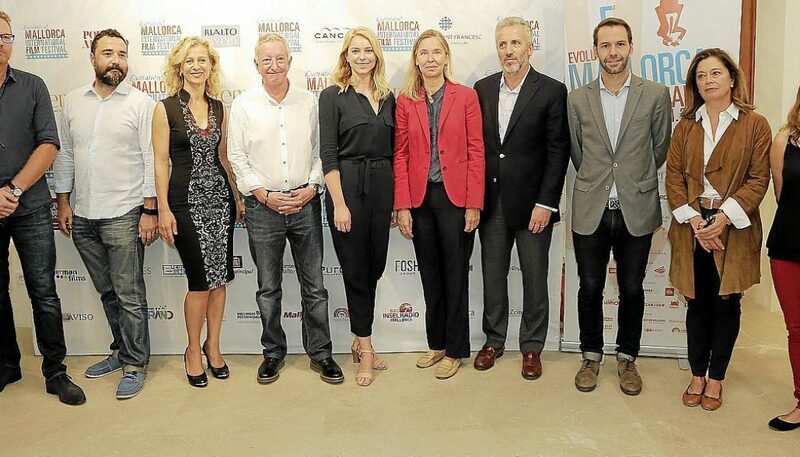 It was also announced today that the Palma-based currency exchange company Premier FX and the leading real estate agency First Mallorca have become key sponsors of one of the fastest growing film festivals in Europe. The full 2016 EMIFF program, along with information for purchasing tickets, can be found at the festival website: www.evolutionfilmfestival.com.